Make this mini cheesecake recipe for your next gathering. Simple bite-size treat made with a wafer cookie crumb base, then topped with a creamy no bake cheesecake filling. Top with fresh fruit or a drizzle of chocolate! Voortman Bakery sponsored this post (thank you!). The content and opinions expressed below are that of The Foodie Affair. Ok, guys, these little bites of heaven are just the treat you need after enjoying one delicious meal and you feel like you can’t possibly have another bite. Well, I promise you that you can have just ONE MORE bite, especially when it is a 1-inch by 1-inch cheesecake bite. These hit the sweet tooth spot perfectly! This is a no fuss recipe and doesn’t require much time in the kitchen. Sooo, when asked what you should bring to your Easter celebration, offer to bring these little itty-bitty cheesecake bites. 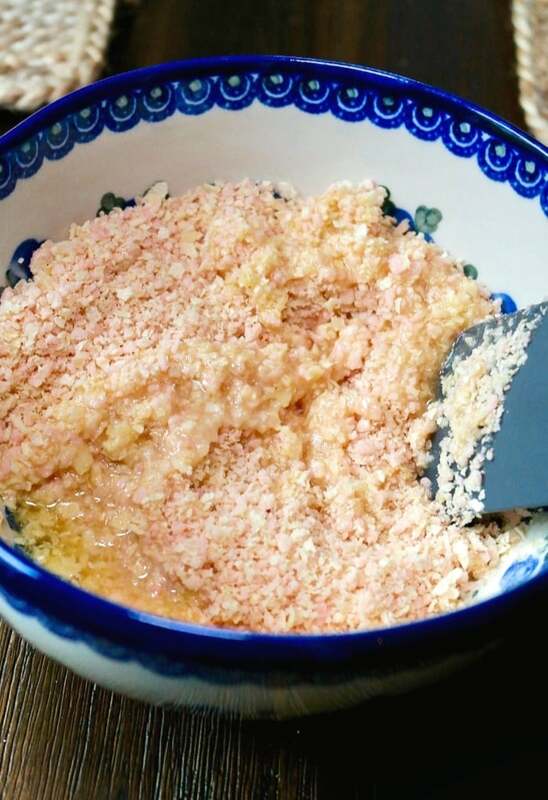 Place wafers ( I used Voortman Strawberry & Banana) in a food processor or blender and pulse 3-4 times or until crumbs form. Melt butter and mix in prepared cookie crumbs. 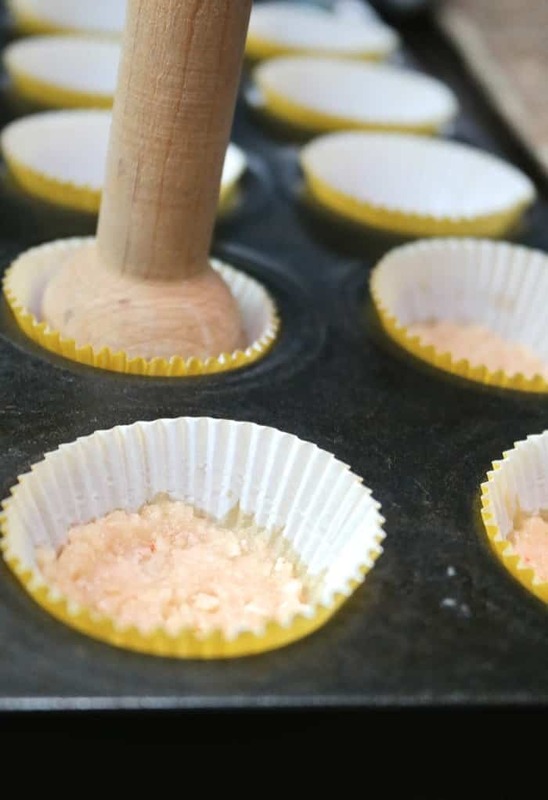 Line a baking pan with mini cupcake liners and place a teaspoon of the crumbs on the bottom of the liner. Press forming a crust. 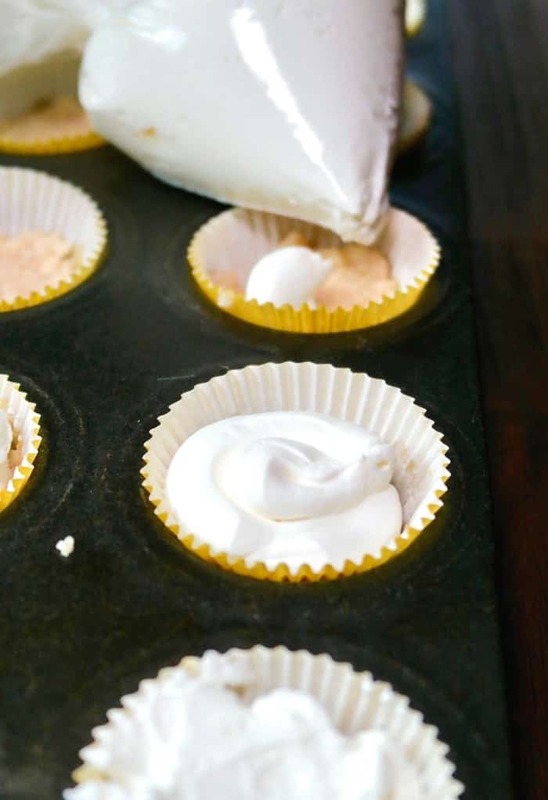 With a hand mixer whip together sweetener and cream cheese until light and fluffy. Mix in vanilla and lemon juice. Slowly whip in heavy whipping cream and mix until creamy and heavy peaks form. Scoop cheesecake over the crust and add toppings if desired. Yes! Place cheesecake in an airtight freezer container and mark with the date. Freeze for up to a month to retain the best quality. Freeze cheesecake without the topping. When you are ready to enjoy the place the cake in the refrigerator overnight. Add your topping right before serving. Let you imagination go wild with creativity when adding a topping to these cheesecake bites! 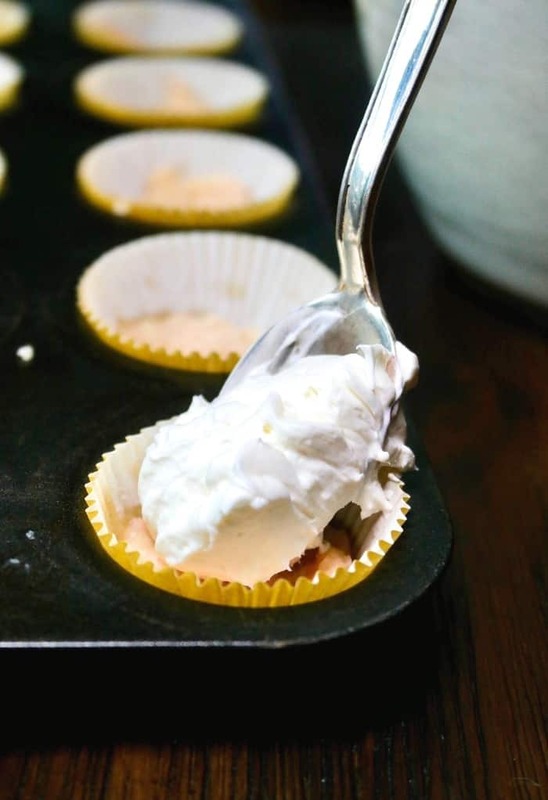 Low Carb Lemon Tartlets – Bite size coconut shells filled with a creamy sugar free lemon curd. 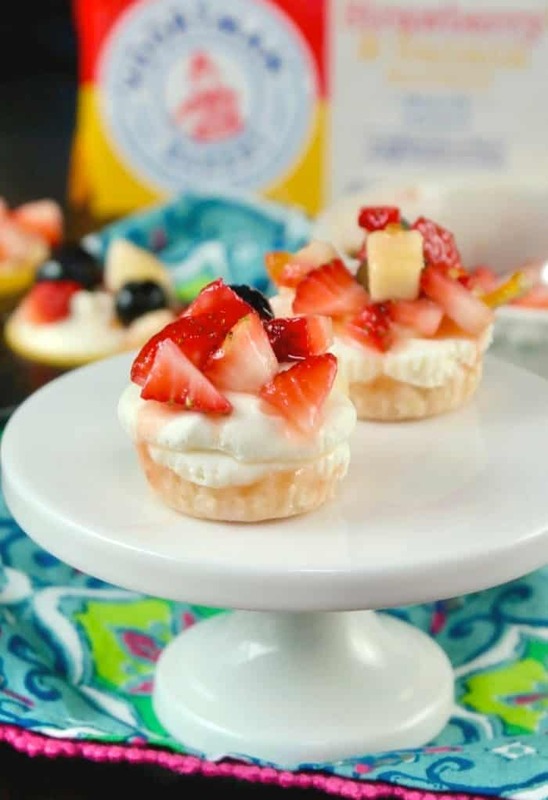 Individual Pavlova Nests – Light meringue shells willed with whipped cream and topped with fresh fruit. Wonton Pecan Pie Bites – Crispy wonton wrappers filled with a pecan pie filling. Yogurt Berry Parfaits – Mini parfaits layered with lemon curd, mixed berry sauce, and Greek yogurt. Mini Eclairs with Strawberry and Cream – Choux dough filled with a cream and fresh diced strawberries. No Bake Eclair Dessert – Layers of vanilla wafers, homemade pastry cream, and topped with chocolate ganache. Enjoy with fresh fruit and whipped cream! Apple Spice Cream Cheese Ball – Dessert cream cheese ball mixed with a combination of apple pie spices, sweetener, and then topped with pumpkin cookie crumbs and pecans! Halloween Cake Recipe – Ghost themed chocolate cake or cupcakes with chocolate fudge wafers. Strawberry Mousse Recipe – Sugar free fresh mouse garnished with a wafer cookie. 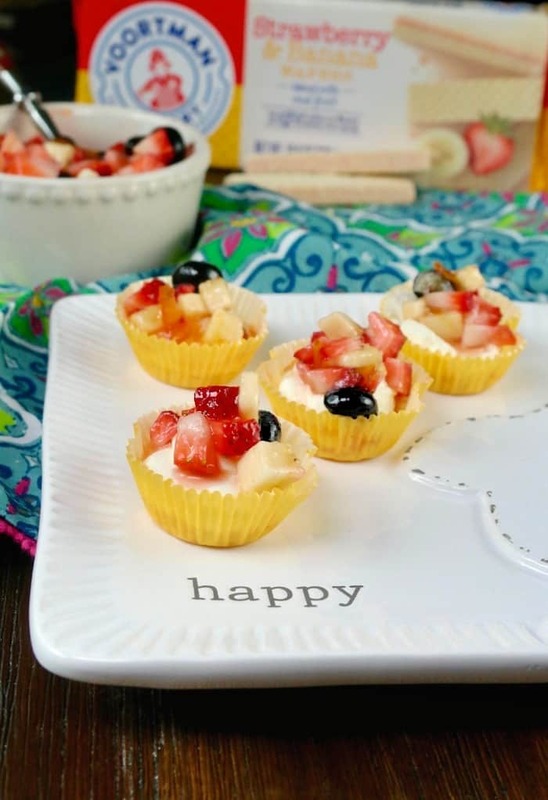 Mini cheesecake bites topped with diced fresh fruit. These treats are simple to make and perfect for a brunch, special gathering or just when you want a simple dessert. 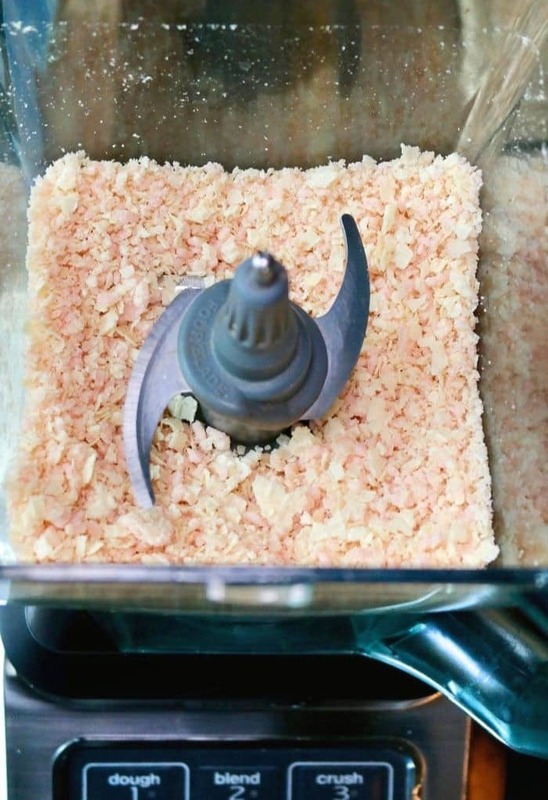 Place cookie wafers in a food processor or blender and pulse 3-4 times or until the cookies are crumbs. Melt butter, then in a medium bowl mix with cookie wafer crumbs. Line a mini cupcake pan with cupcake liners. Place a teaspoon of crumbs on the bottom of each liner and gently press down creating a crust. In a large bowl mix cream cheese with sweetener until incorporated into a light and fluffy mixture. Slowly pour in heaving whipping cream and mix on low-medium speed (to avoid splatter) until the ingredients begin to hold together. Increase the speed to medium-high until heavy peaks form. Place ingredients in a piping bag* and squeeze over prepared crust. You need 1 1/2 cups of wafer crumbs for this recipe. 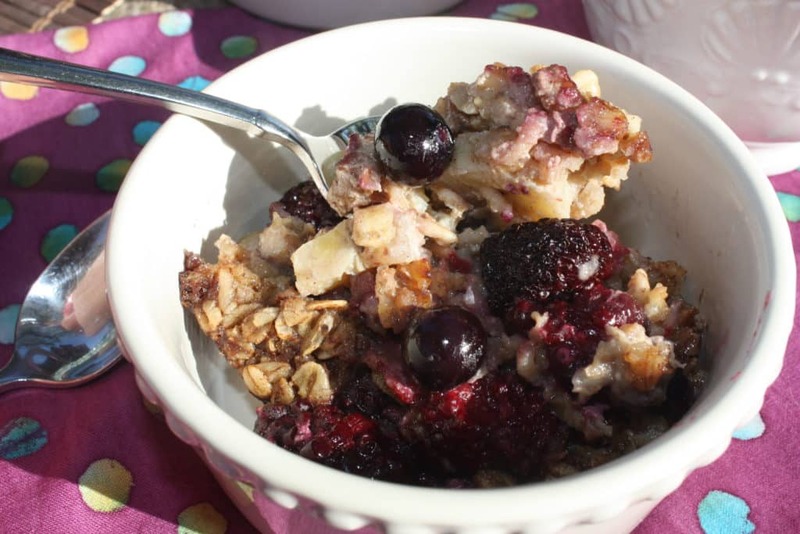 Top with diced fresh fruit like strawberries, blueberries and bananas. To glisten the fruit, follow this Fresh Fruit Salad recipe. *No piping bag? Spoon over crust or place in a plastic sandwich bag, then snip the corner like you would a piping bag. Mini cheesecake can be stored covered in the refrigerator for 2-3 days. I haven’t ever used wafers as the crust to cheesecake. I will try this out for sure. The crust is super easy to make and no need to do anything because it has tons of flavor already! The strawberry wafer crust is a great way to get flavor in the crust! I promise no one will be counting….lol! Just enjoy every bite. Bite size desserts are always my favorite! Just me or do they actually just taste better? 😉 Thanks for the great share I can not wait to try this out! Small desserts taste better for sure! haha. I think because you can have three or four and not blink an eye! It appears my first comment didn’t go through. Your little cheesecakes look delicious. I’ve only made the mini ones that you bake. A question, what makes these firm enough to eat when you take the wrapper as that is the way I would want to serve them? Hi Karen! They are firm when you take the wrapper off. I put them in the refrigerator for about an hour before serving. 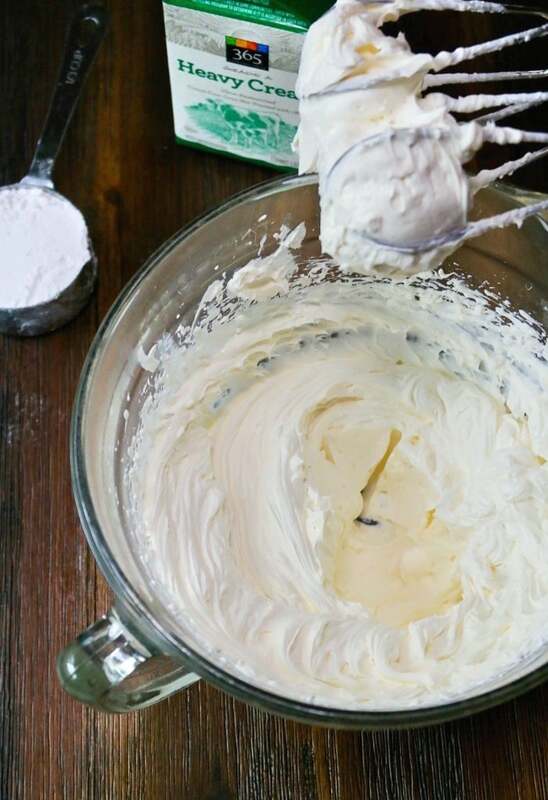 The heavy cream and cream cheese is stable when whipped together. Everything about these cheesecakes sounds amazing! I can’t wait to make them! mmm. . . 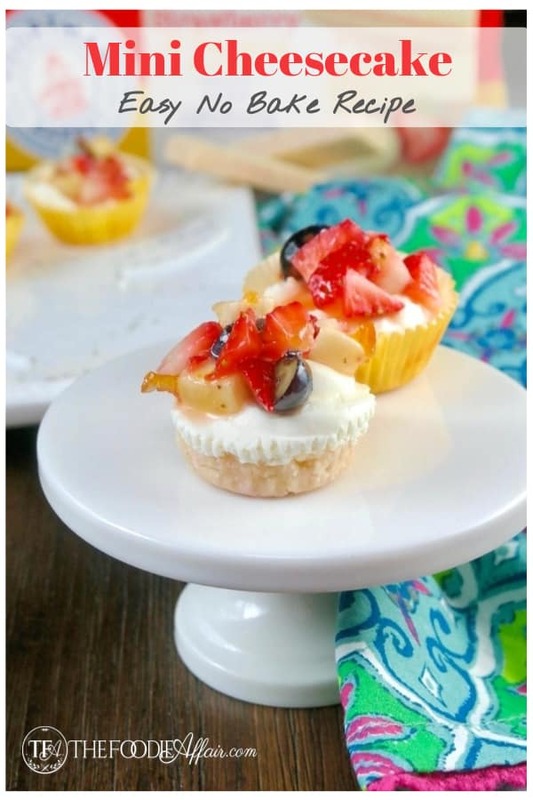 The mini cheesecakes look like the perfect spring dessert. What a lovely sweet treat! Love that I can make and freeze them that is perfect for our family!! I LOVE these little bite sized treats!!! 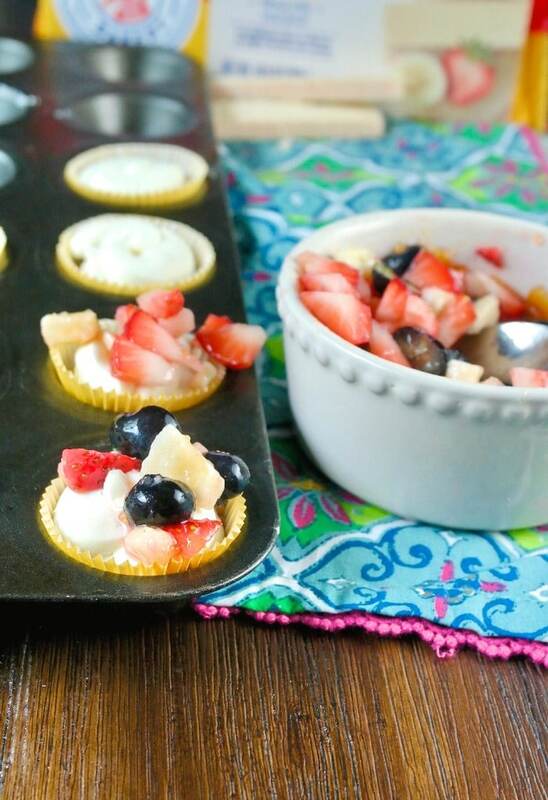 I love no bake cheesecakes, they’re perfect for summer when I don’t want to heat up the oven! 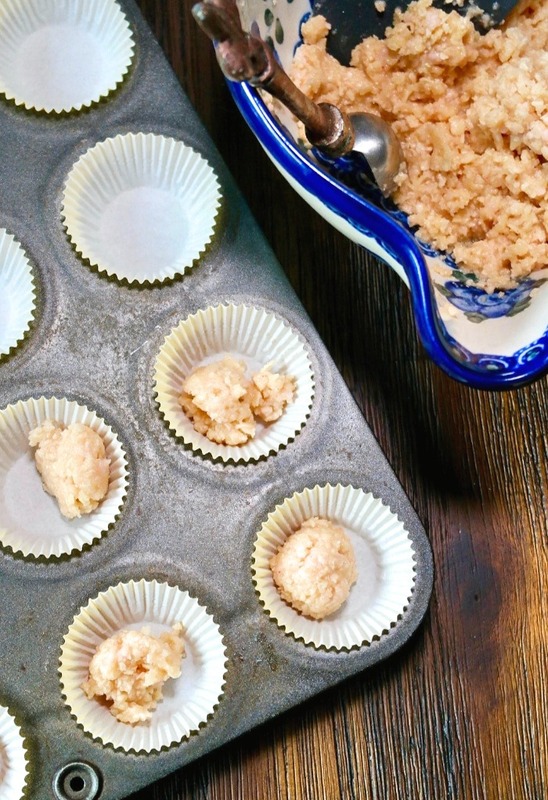 Summer time weather is the perfect time for no bake treats! I love those cookies and have since I was a kid! I would have never thought to use them for a cheesecake crust — BRILLIANT! Thanks, Michaela! They work so well. No extra sweetener needed since all the flavor is in the cookie! I think those wafers make a BRILLIANT crust for the cheesecake! I can’t wait to make them! We do all lemon desserts for Easter so I think I’ll top them with a little fresh lemon preserves! Yes! Lemon and spring and the perfect topping for mini cheesecake bites. Thanks, Michele! Perfect bites of cheesecake goodness. 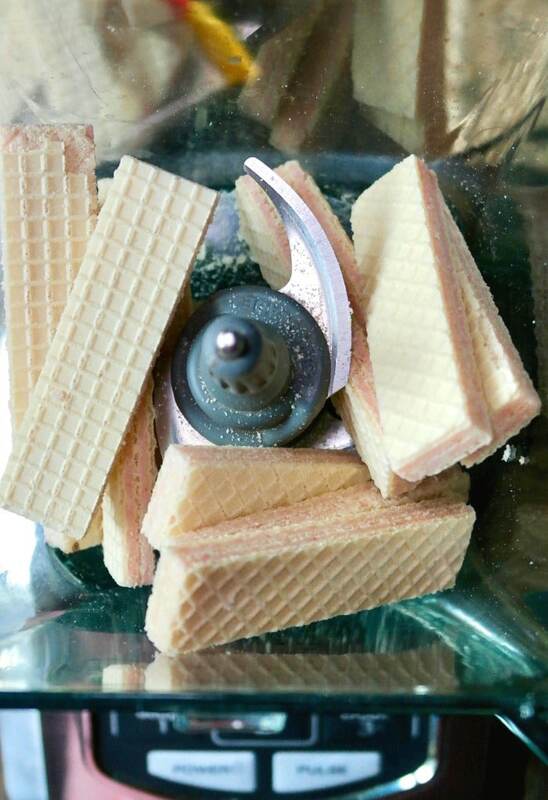 love the use of wafer cookies for the base.